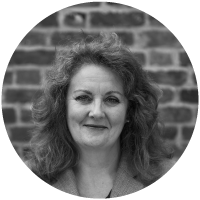 A Chartered member of the CIPD since 1999, Sharon has gained a wealth of experience of working in the Pharmaceutical, Technical, Financial and Retail sectors. Sharon has developed an in-depth knowledge of Training, HR and Sales. Her passion has always been in developing people, to give them the knowledge, skills and confidence to succeed in their role. Sharon is a subject matter expert in the use of Psychometric assessments to support each stage of the Employee Lifecycle. Working with Hendron Pearce as a Trainer and Consultant allows Sharon’s natural talents and abilities to shine through. Sharon works with customers across a broad range of sectors to help them recruit more effectively, retain their staff, build their people management abilities and improve the effectiveness of their line managers and teams.